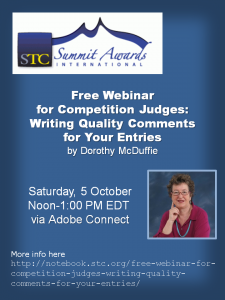 Competition judges: As a volunteer judge for your local publications competition, you’ve been looking forward to seeing what your peers consider their best work. When you begin looking through the entries that have streamed into your email box and landed with a thud on your doorstep, you realize that the quality of the entries varies immensely. How do you suggest improvements in an entry that seems near perfect? How do you manage suggestions for an entry that seems, frankly, a mess? And how do you remain positive about the vast number of entries that lie somewhere in between? 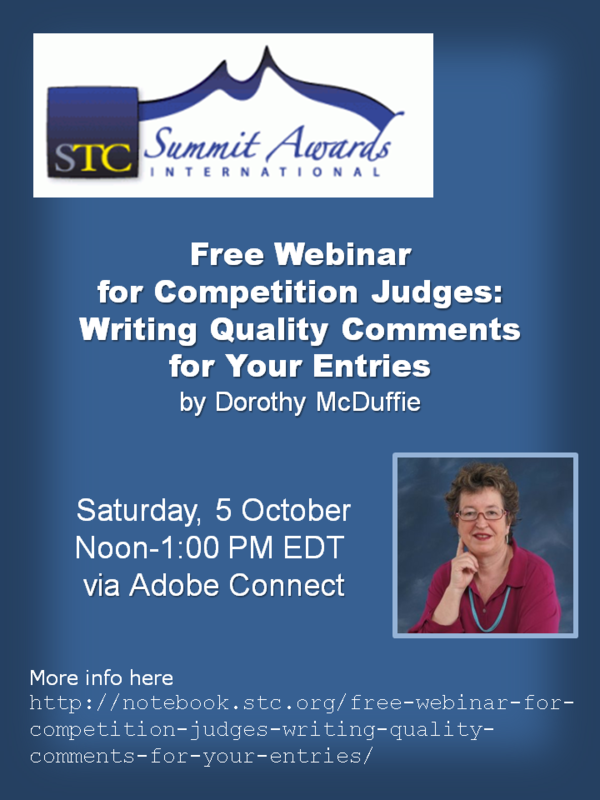 Read more about this free online event on STC's Notebook blog and then join us for the webinar.